Read our extensive list of tips for buying soccer cleats that are a perfect fit for your feet. Buying new soccer boots is always a tricky decision in the life of an aspiring footballer. Whether you are a young kid who has recently taken to the game or a teenager in the formative years of your amateur career, you can’t afford to take a chance with your soccer boots. There are so many options available in the market that it is very easy to get confused about what you really need. Additionally, soccer cleats can get really expensive, and you need to make sure that you are getting your money’s worth. To help you with your cleats-shopping, we have created a comprehensive list of tips for buying soccer cleats. The playing position is one of the main criteria that determine what kind of cleat design is a perfect fit for you. Some cleats help you with your pace and acceleration, while some provide more protection. Thus, your cleats can improve or degrade your performance depending on your role in your team. Goalkeeper: Goalkeepers need a firm grip on the ground and freedom of movement. Their cleats should also have a clean strike zone for goal kicks. Defender: Tackling is the main part of a defender’s job; thus, defenders should wear boots that provide extra protection to their feet. Midfielder: A soccer midfielder runs around 6-7 miles in a 90-minute professional game. Quite naturally, a midfielder would prefer boots that he feels comfortable to run in. Wingers and Full-backs: Players playing in wide position are normally fast players. Thus, they prefer lightweight boots which can help them with pace and agility. Strikers: Strikers need to strike the ball with an equal amount of force and precision. Thus, the best soccer cleats for strikers to own should be light and should have a clean striker zone. The next big factor to consider before deciding on new cleats is the kind of surface you regularly play on. There are some grips which provide a better grip on muddy pitches while some do so on a hard ground. Thus, choosing a cleat which suits your playing surface is an important one. Firm Ground (FG) – These boots are the most common kind of boots as they can work to some extent on almost any kind of surface. However, these boots are primarily meant for firm natural grass surfaces which are not susceptible to heavy rainfall. Soft Ground (SG) – If you live in an area with heavy rainfall, then you need boots which can maintain a grip on a soft ground or even muddy pitches. The best soft ground cleats usually come with replaceable cleats. Artificial Turf (AT) – These boots have been the traditional option for players who play soccer on artificial surfaces. Turf shoes have rubber soles with comparatively small studs for a better grip on artificial grass. Artificial Grass (AG) – These are the new breed of soccer boots. Artificial grass cleats are a combination of AT boots and FG cleats. These are designed to be effective on both artificial grass and firm ground. 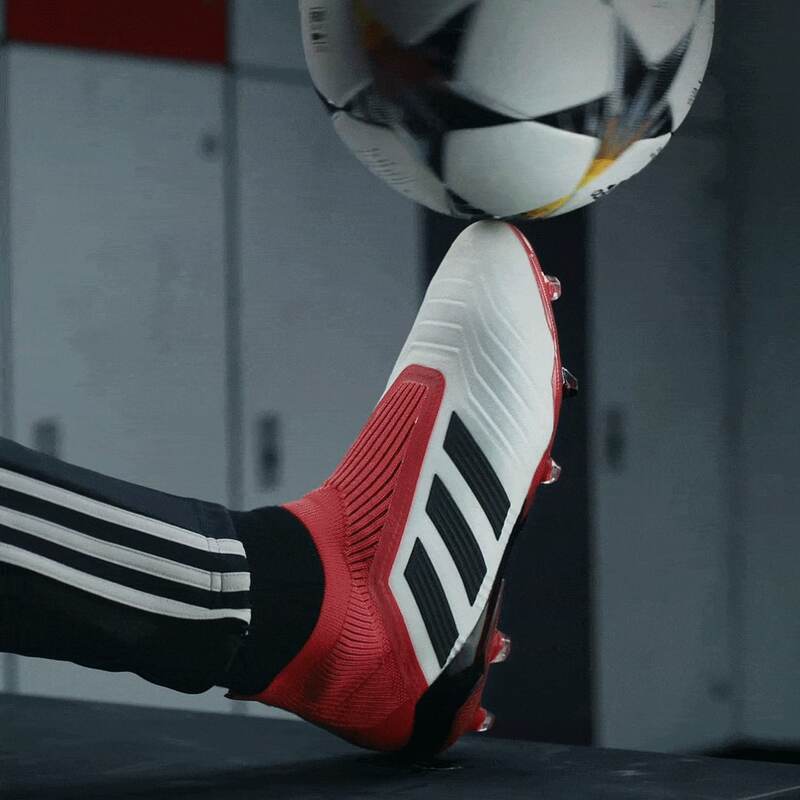 Indoor – These boots are meant for playing football on an indoor court-surface. Thus, if you are a futsal player, then you need to go for indoor shoes. These boots don’t have any conical studs, unlike ground cleats. The next feature to consider in our tips for buying soccer cleats is the material of boots. Soccer boots come in more than one material. Some players prefer the comfort and natural fit of leather while some like the lightweight synthetic upper. K-Leather – For a long time, Kangaroo leather was the traditional and preferred material for all soccer cleats. However, all major brands have moved away from the material in recent years due to high pricing and relentless pressure from animal-welfare groups. K-leather boots rank very high in terms of comfort and durability. Natural Leather – Most companies are using calfskin and cow leather for producing natural leather soccer boots currently. These are not as good as Kangaroo leather shoes, but they do provide a very unique feel on the soccer ball. Synthetic Leather – Most leading cleats-manufacturing companies are spending their R&D money on this material. Nike and Adidas have produced Kanga-Lite and Hybridtouch respectively using synthetic leathers. The aim is to produce a material that can provide all the best features of natural leather. The technology is not there yet, but companies will reach that level soon. These boots can also encompass additional features such as waterproofing. There are pros and cons of leather vs synthetic cleats, so be sure to do your research. Synthetic – Uppers made of synthetic material provide a totally different feel to ones made of leather. This material is very thin, but it doesn’t stretch much. Thus, be very careful about your feet size while picking up synthetic soccer cleats. Mesh – Manufacturers are now using mesh for soccer boots too. This surface is ultra-thin and hence, it is used in running shoes. However, this material is not waterproof, and it allows water/moisture to creep into your boot. Knit –This material has been used by both Nike and Adidas for their Flyknit and Primeknit brands respectively. These two boots are exceptional products, and they also have an additional layering to avoid water damage. Another important factor to consider while buying cleats is their weight. Soccer cleats range from 5-6oz to 11 oz. Cleats such as Puma V1.10 SL, Adidas F50 adiZero, Pele Trinity 3E are some of the most lightweight cleats available in the market. Adidas Copa Mundial, which was released in 1979, is one of the heaviest soccer cleats at 11oz. Any boots under 9oz are considered lightweight, while super lightweight shoes belong in the 5-8oz range. Beginners should stick between the 8-9oz range as they get balanced features in this weight range. You should look to buy shoes in middle price range, $80–$120. These boots might not give you same performance level as top end boots, but they are more reliable. Boots belonging in the +$150 range are akin to boots professional players wear. They are comfortable and enhance your performance, but they are not durable.